Whether you are in transition by choice or by circumstance, it's likely you feel at sea and adrift in your situation. Moving through the unknowns associated with any life change can be frightening and unsettling. Please know you are not alone. The Seasons of Change is a gentle, supportive model that uses the seasons to show you how you can navigate your transition with grace. 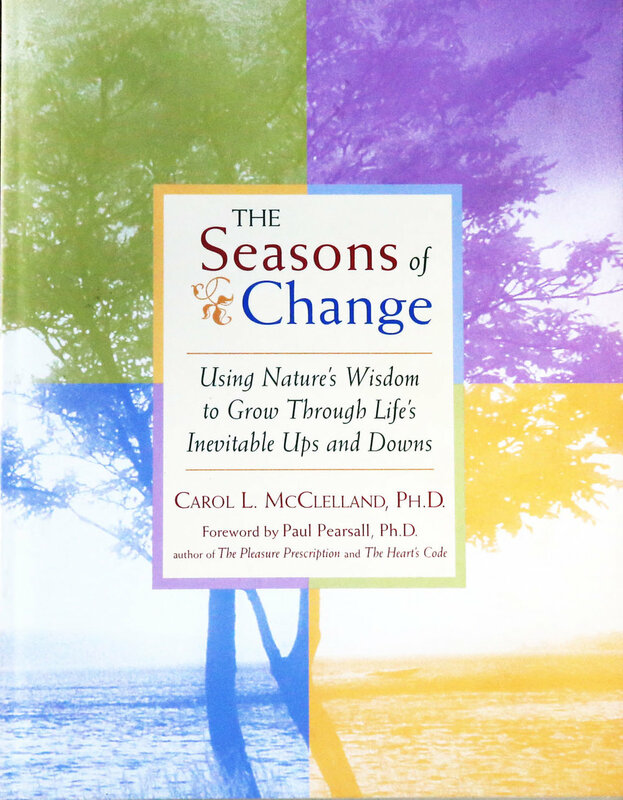 The essential companion for The Seasons of Change and a great gift for friends or family members in transition and a valuable tool for healers, consultants, and therapists. If you are wrestling with the emotions of a career loss or a personal loss, this book will give you a map of your transition journey and practical tasks you can do to move forward. No matter where you are on your path through life, Nature's Wisdom Deck is a transformative, thought-provoking guide to understanding and moving through life's changes. Nature's Wisdom Deck is the essential companion to Seasons of Change. Purchase Both Books at a Discount Rate.